This year’s science news really shook things up—and we mean that quite literally. A pair of colliding black holes billions of light years away caused a gravitational wave detector to vibrate, ever so slightly, right here on planet Earth, ushering in a new era in astronomy. There was more troubling news as well: The Zika virus wreaked havoc in South America, forcing the World Health Organization to declare a public health emergency; meanwhile, our planet has continued to warm, breaking records for temperature and for shrinking Arctic sea ice. (We also found out that humans have been tracking climate change much longer than previously thought.) But there was no shortage of more uplifting science news, too—from medical breakthroughs to new insights into human evolution. So here are some of the top science stories of 2016. 1. EINSTEIN’S GRAVITATIONAL WAVES WERE FOUND AT LAST. Einstein’s theory of gravity, published in 1916, predicted the existence of elusive ripples in the fabric of space, known as gravitational waves. But it wasn’t until the mid-1990s that construction on a pair of enormous gravitational wave detectors in Washington and Louisiana began. The facility, known as LIGO (for Laser Interferometer Gravitational-Wave Observatory), started collecting data in 2002, and began a new run with enhanced sensitivity last fall. In February, scientists announced that they’d pulled off a discovery 100 years in the making. The LIGO detectors caught a fleeting signal from gravitational waves released by a pair of colliding black holes. And it was no one-off feat: Just four months later, scientists detected another burst of gravitational waves, from another pair of merging black holes. Astronomers and physicists were on cloud nine. The discovery is more than just a long-awaited confirmation of a vital part of Einstein’s theory, known as general relativity. Scientists believe it will also open up a whole new era of gravitational wave astronomy. The story doesn’t end there: Just a few weeks ago, scientists taking a closer look at the data argued that faint “echoes” in the signals point to deviations from Einstein's theory—so, stay tuned! 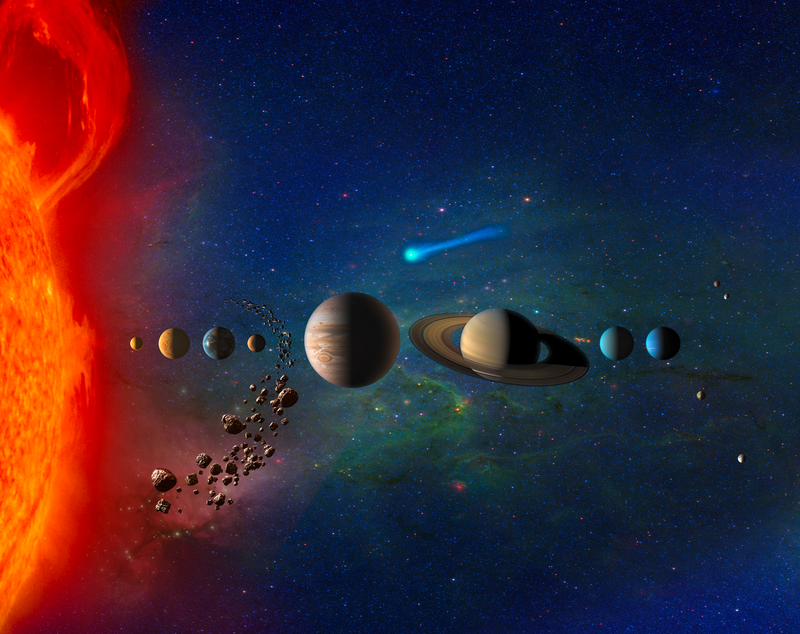 We’ve been tallying up exoplanets, planets that orbit stars beyond our solar system, for some 20 years now. But even so, the discovery of Proxima Centauri b (“Proxima b” for short) was hailed as a momentous finding. Part of the excitement stems from the fact that the Proxima Centauri system is the closest star system to ours—it’s a mere four light-years, or 25 trillion miles, away. The planet is also roughly Earth-sized. But more importantly, Proxima b's orbit lies within the “habitable zone” of its parent star, meaning that conditions are right for liquid water to exist on the planet’s surface, raising the tantalizing possibility that it may harbor life. But is Proxima b truly Earth-like? It's complicated. The planet orbits much closer to its star than Earth does to the Sun, and tidal forces may have “locked” the planet, forcing it to keep one side perpetually facing its sun, creating a steep temperature gradient between the two hemispheres. Also problematic is that because of its tight orbit, it may be constantly blasted by deadly radiation, in addition to bearing the brunt of a stellar wind (the flow of extremely hot plasma ejected from the surface of a star). This may have blown off the planet’s atmosphere—if it ever had one. Even so, Proxima b will be an exciting area of further research for many years to come. 3. BABIES CAN NOW HAVE THREE PARENTS. When it comes to human reproduction, things may be about to get more complicated. Earlier this month, the government agency that regulates fertility treatments in the UK gave the green light for clinics to apply for licenses to carry out a procedure called mitochondrial replacement therapy (MRT). The therapy would be offered to women whose DNA puts them at risk of passing on potentially crippling genetic diseases to their children. The technique involves replacing the defective mitochondria in a mother’s egg with healthy mitochondria from a donor. The baby would still inherit the full set of 46 chromosomes from its mother and father, but it would have the donor’s mitochondria, hopefully creating a healthy, happy infant. 4. EARLY HUMANS—AND THEIR COUSINS—REALLY GOT AROUND. We know that our species, Homo sapiens, originated in Africa and then spread out to conquer the globe, but piecing together the details of those migrations has proven challenging. This year, several new pieces were added to the puzzle. An analysis of stone tools at a site in India suggests that early members of the genus Homo reached Asia 2.6 million years ago—some 500,000 years earlier than previously thought. We’re also learning about the role that climate change played in some of those migrations. Our Neanderthal cousins made the news, too. It looks like humans and Neanderthals interbred some 40,000 years earlier than we’d guessed from earlier studies, and new evidence suggests that Neanderthals carried out funeral rituals which included the use of fire, animal bones, and antlers. And remember Homo floresiensis, the so-called “hobbits"? It’s never been clear exactly how these diminutive humans, who lived on the Indonesian island of Flores tens of thousands of years ago, got there—or what lineage they had descended from. But a new analysis of teeth and bones from the original excavation site suggests that they were a dwarfed form of Homo erectus, a human ancestor known to have settled in nearby Java. 5. 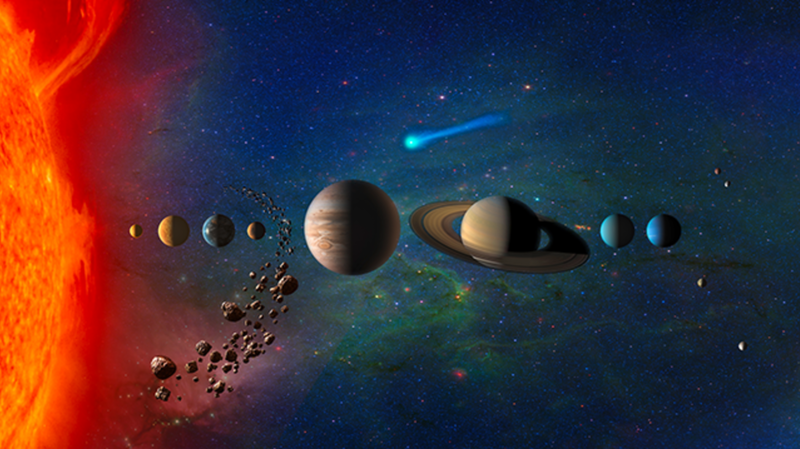 THE OUTER SOLAR SYSTEM GAVE UP ITS SECRETS. 6. ANIMAL MINDS UNDERSTAND MORE THAN WE KNEW. For years, scientists believed that only humans had the capacity for a “theory of mind”—the ability to reason about another person’s beliefs. But this year researchers concluded that three species of great apes—chimpanzees, bonobos, and orangutans—have this remarkable ability too. Smaller creatures can’t get inside each other’s heads to quite that degree, but even mice, it turns out, display a certain level of empathy. Researchers found that if healthy mice are placed near mice that are in pain, the healthy mice become more sensitive to pain themselves. The ancient Chinese board game of Go has billions upon billions of possible board arrangements—which is why most artificial intelligence (AI) experts imagined that it would be many years, if not decades, before a computer system could beat the best human players. But this March, a program called AlphaGo, developed by Google’s AI division, DeepMind, defeated 18-time world champion Go player Lee Sedol, four games to one. The program used neural networks to analyze some 30 million moves made by human experts, and also learned by playing thousands of games against itself. 8. … AND "BIRD-BRAIN" SHOULD NO LONGER BE AN INSULT. It’s just in the past few years that researchers have come to recognize just how clever certain bird species are—especially corvids (crows, jays, and related species). This year scientists discovered that Hawaiian crows are remarkably adept tool users; New Caledonian crows, meanwhile, can bend sticks into hooks. Researchers now believe that certain bird species are just as smart as apes (perhaps because their brain cells are packed together very densely). And in a remarkable story that combined surprising science with an overload of cuteness, we learned that newborn ducklings may have some capacity for understanding abstract concepts. 9. A DINOSAUR’S TAIL TELLS A TALE PRESERVED IN AMBER. It died almost 100 million years ago, but thanks to the preserving power of amber, a Cretaceous-era feathered dinosaur—or at least, a small bit of its tail—has survived the ravages of time in near-pristine condition. Discovered in Myanmar, the feather is believed to have belonged to a juvenile theropod, a family that includes not only dinosaurs but also modern birds. Although the feathers are impressive, researchers can’t be sure if the little dino could fly. The feathers may have regulated its temperature, or they may have been decorative. 10. WE FOUND PROOF THAT BABYLONIAN ASTRONOMERS TRACKED JUPITER. We already knew that the Babylonians, who lived in what is now Iraq, had pretty advanced mathematical and astronomical knowledge, but a new analysis of four ancient tablets dating from between 350 and 50 BCE suggests that they used sophisticated geometrical techniques to keep track of Jupiter’s position in the night sky. That’s something European astronomers wouldn’t begin doing until some 14 centuries later.